For journalist Eliza Bennett, summers in Sweetbriar Cove were her happiest childhood memories. Now that she’s been unceremoniously fired, she hopes the small town will work its magic again and help get her life back on track. She definitely isn’t looking for a distraction like the handsome stranger she meets on her way into town… especially when she discovers he might be the reason for her recent misfortunes. Cal Prescott is in Sweetbriar Cove adjusting to (or escaping from) his new role as head of the family company. 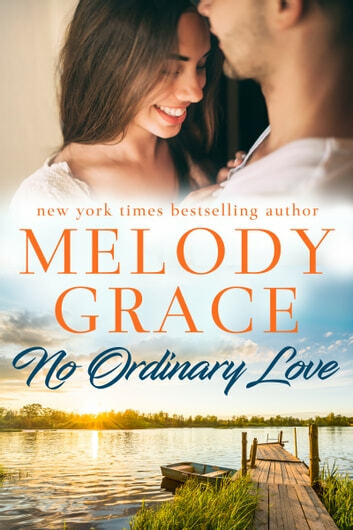 He’s always prided himself on his cool logic, but reckoning with the outspoken spitfire, Eliza, is making him forget his responsibilities - or why falling in love would be such a bad idea. The sparks between them are red-hot, and soon, their passion is heating up the summer nights. But can Eliza and Cal find a way through their differences - or will this opposites-attract romance burn out before it even begins? Find out in the new Sweetbriar Cove romance from New York Times bestselling author, Melody Grace!